"In the boundless landscape of the soul, there are beautiful creatures who are nothing else but ourselves. I attended TEDx Talks last September 24, 2016. It was an incredible experience and one of the most intense moments of my life. When I was invited to participate in the TEDxRovigo edition, I wanted to talk about my research on the psychology in the portraiture. Then I remembered that I wanted for a long time, go on the stages of the TED to tell the story of my life as a demonstration that we can change the path of our destiny. I hope that my story can be an example to someone to radically change horrible stories struggling to stand out into the light and overcome the bad memories. I ask you to share this video and talk about it with your friends to help me complete my mission. I promised myself since very little that I would be taken away from that life, and I would tell the world what happened to me. My wish is to create a book with the story of my life going over the places of memory, a complex project but necessary because as certain events have occurred to me, I'm sure that still the same happens to so many women and girls. 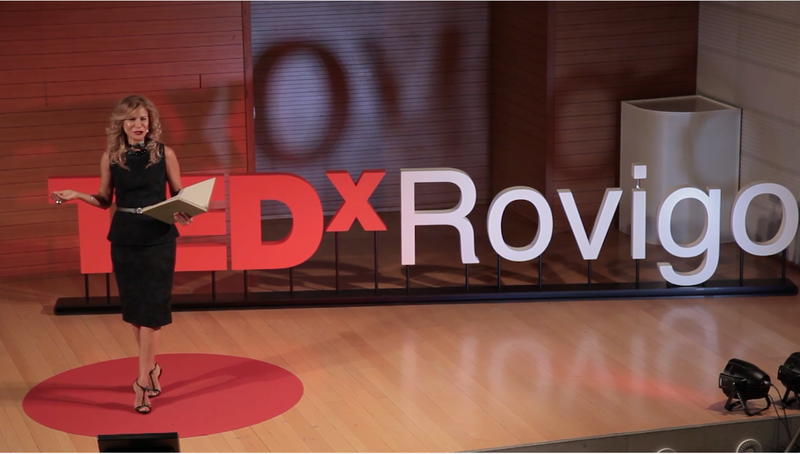 My talk starts from 0:25 sec with a video intro with a slideshow I did for TedxRovigo. Enjoy it!